Board and Stencil Kit. Comes with 2 PCBs, Stencil, Solder Paste, and Mini-Squeegee. 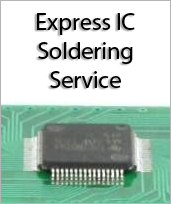 Perfect for reflowing hard to solder ICs in the lab, at work or at home. CSP-16 (3.5 x 3.5 mm body, 0.5 mm pin pitch) to DIP-16 (300 mil body, 0.1" pin pitch) adapter. 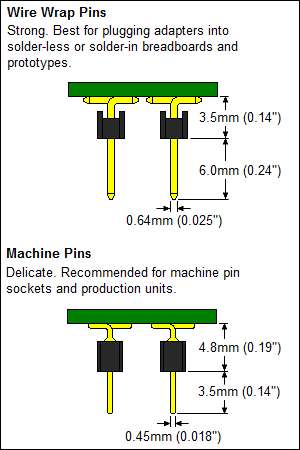 PCB dimensions: 700 mils x 800 mils (17.78 x 20.32 mm). PCB construction: FR-4 UL94V-0. PCB operating temperature range: -40C to +130C. PCB reflow maximum temperature: +260C. This footprint has been designed to be hand soldered or soldered down using a stencil, solder paste and reflow. Toaster oven reflow works well.